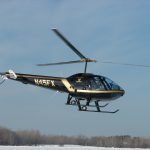 HSA offers small helicopter operators the unique opportunity to have “big-time” safety at an affordable price. So what does it offer the manufacturers, vendors, and suppliers who service those operators? 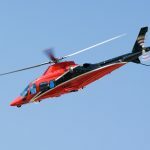 HSA offers exhibitors, advertisers, and sponsors the opportunity to connect with small helicopter operators. HSA Safety Stand-Downs are unique regional events focused on small helicopter operations. Most events feature aircraft fly-in privileges for attendees, and attendees came from several states over, as well as from the local aviation community. In a survey distributed to attendees, 100% of respondents would recommend attending a Stand-Down to colleagues. HSA enables vendors to meet with previously inaccessible small operators because they do not attend the big events. At our last show, only two attendees out of 80 had been to HAI HELI-EXPO. Yet these operators comprise the largest group of helicopter operators in the United States! 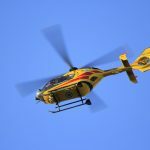 At a Helicopter Safety Stand-Down, HSA brings the needs of the small operators and the needs of the vendors together to create a mini-trade show within an educational setting that will be a benefit to both groups. Sponsors and exhibitors are acknowledged on the event webpage and in signage on-site, as well as receiving verbal recognition during the day. The Stand-Downs feature complimentary continental breakfast and lunch for those attending. These meals and all breaks take place in the exhibit space, so you will have several opportunities to connect with attendees. Exhibitors and sponsors will be recognized before, during, and after the show; some sponsorships also provide the opportunity to exhibit, at no additional cost. Why become an HSA exhibitor, advertiser, or sponsor? Because our attendees will be your customers. Download the HSA Media Kit.